Awesome pattern! Meticulous and carefully crafted, and this fabulous tote bag pattern is even more special because it is your own unique design. The Jackfield Tile Tote Bag by Christine Bateman is a beautiful combinations of the varying textures and a chance to play with colors.The pattern is so clear and well-written and has terrific helpful hints and great photos of the process. A triumph in every way! The whole thing – colours, handles – has a wonderfully exotic look! The pattern is 6 pages long, with plenty of photos and helpful hints. Instructions are given for DK or Aran/worsted weight yarn using the appropriate hook. Most importantly, the notes also allow for adjustment to fit any gauge, and any size and depth of inner bag, as long as the front panels are square. 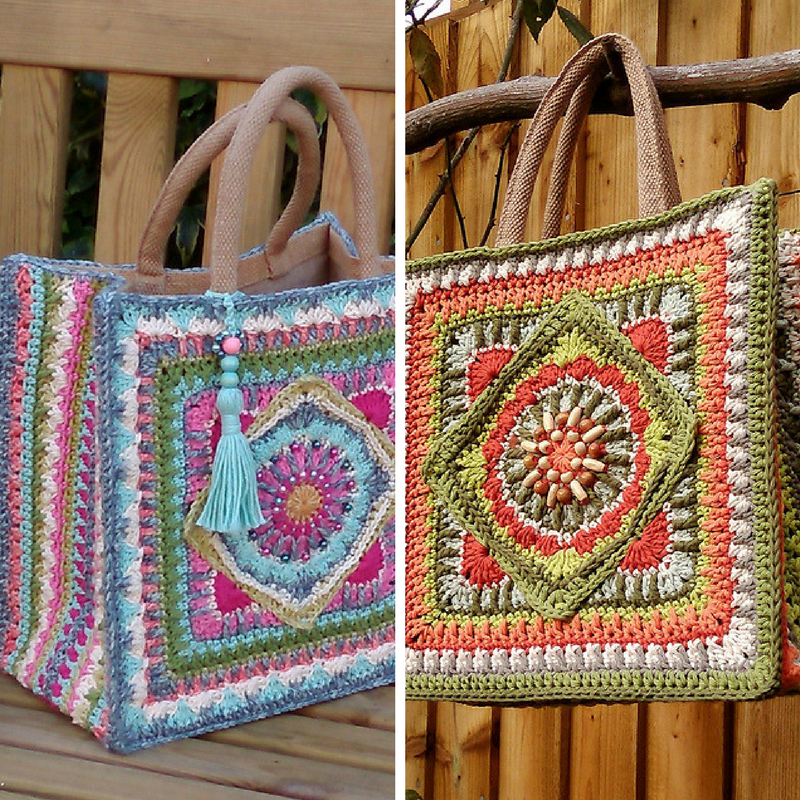 These bags are a great way to use up leftover yarn. Decorate them with beads, buttons, tassels, anything – let your imagination run riot! Thanks to Christine Bateman for the article inspiration and featured image! [Video Tutorial] Love stripes? This Granny Stitch Crochet Afghan (Blanket) Is Awesome!